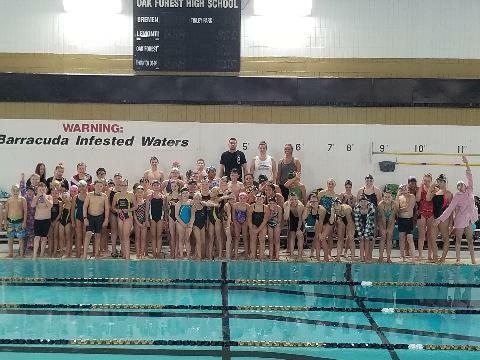 Oak Forest Swim Association (OFSA), is committed to providing a sport environment that is athlete-centered and that is characterized by the values of fairness, integrity, open communication, and mutual respect. The Vision for OFSA is to strive for excellence with our swimmers and families through self- discipline, teamwork, and the joy of swimming in a supportive and productive team environment. OFSA has started an outreach program during the Summer of 2014 and is hoping to raise awareness and acceptance of special needs and teach our swimmers that doing things for others that they love to do, can be very rewarding. ?Barracudas Swim for HIE Friends? should teach our athletes more compassion and empathy. They will learn that there is power in simply the thought of doing something they love for another person who maybe cannot swim, walk, run, etc. OFSA was established over thirty-five years ago by parents of the community to provide competitive, team-oriented swimming opportunities to all interested youth families. The program?s long-term success has been due to committed parents and the long-standing relationship with Oak Forest High School. The Oak Forest Swim Barracudas is a non profit, parent owned and operated club. We offer high quality professional coaching and technical swim instruction for all ages and abilities. 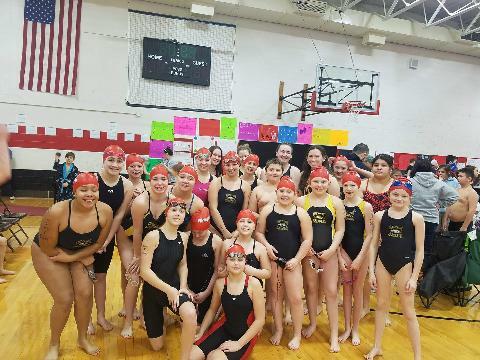 We have a United States Swimming, USS, year round competitive swim team that competes at the local, state, regional and national levels. We offer year round learn-to-swim lessons, as well. We are constantly growing and training novice and experienced swimmers to maintain a well rounded swim program. We are looking forward to meeting you and having you join us.